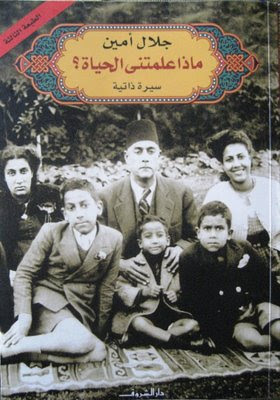 بنك مصر | يعني الرسول كداب . أيوه الرسول كداب و محمد خول الخولات.جورج قال لنا كده.سحر الباك الإسلامي حقيقة. كل المسلمين شيطانيين.حماده اتفقس ما تخلقش وحايض . In the early years of his tenure, Mubarak didn’t stray from the substance of Sadat’s policies but did steer clear of his predecessor’s flamboyance and increasingly unhinged demeanour. He tried to appear firm with the Israelis, recalling Egypt’s ambassador in Tel Aviv after the Sabra and Shatila massacre and holding out for international arbitration of the Taba demarcation, which bore fruit and Taba was returned to Egypt in 1988. As is well known, Mubarak worked to roll back Egypt’s isolation after its separate peace with Israel, and in 1989, Egypt was readmitted to the Arab League and became part of something called The Arab Cooperation Council along with Yemen, Iraq and Jordan. 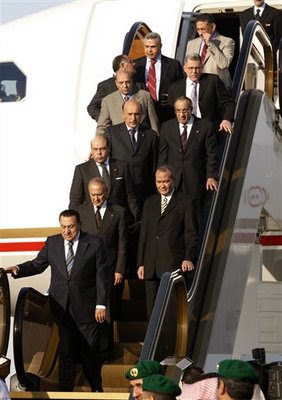 But Mubarak was always a loyal follower of the Americans, contributing troops to the first Gulf War and allowing US warships unconditional access to the Suez in the 2003 war. At the same time that he was reintegrating Egypt into the Arab fold, Mubarak was also preaching the American gospel of cautious normalisation with Israel to other Arab rulers and forging coalitions with domestic capitalists eager to enrich themselves through ties to the Israeli economy. The difference between then and now is one of style and not substance. If Mubarak today has no compunction about openly aligning his interests with Israel’s, this isn’t a sharp break from the 1980s so much as a shift in impression management. Before, Mubarak was just as cooperative with Israel as he is today, he simply invested more energy in rhetoric to hide this fact. Today, he’s lost interest in keeping up appearances, and seems perfectly comfortable being a tinpot autocrat with nothing more on his mind than keeping his patrons happy and his population cowed. 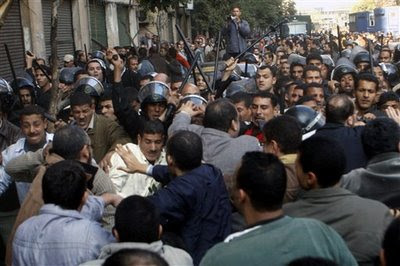 A series of developments starting around 2000 have driven Mubarak to this point. Three events in particular are relevant: Hizballah driving Israel out of southern Lebanon; Bashar al-Assad inheriting power in Syria; and the outbreak of the second Intifada. The regional rise of Hizballah (and later Hamas) and the breakdown of Israeli-Palestinian negotiations cast doubt as never before on the supposed futility of standing up to Israel. Refusing to challenge Israel is part and parcel of the so-called moderate worldview embraced by Arab governments, including Fatah, who are willing to make all the concessions on Israel and America’s terms. By contrast, Hizballah’s routing of Israeli forces buoyed the positions of the two Islamist organisations and most of Arab public opinion. This stance is premised on treating Israel as an interlocutor, not an invincible power, and demanding that it make real concessions of its own. For Mubarak, Abdallah in Jordan, the Sauds, and Mohamed VI of Morocco, the Hizballah victory and the outbreak of the second intifada were very bad news, exposing these incumbents’ political dependency and crediting the alternatives promoted by their political rivals. The reason why Bashar al-Assad’s assumption of power is significant is that it came at a time when the question of succession preoccupied the Mubaraks (Hosni and wife). They became intrigued by the Syrian innovation of republican power inheritance and soon began to apply it at home. As Mubarak (and wife) became more engrossed in engineering the handover of power to the son and preparing the domestic political arena for the transfer, he became less and less able to package his foreign policy as protecting Egypt’s national interests or serving as a credible counterweight to Israel. This is because Gamal Mubarak’s domestic rise went hand in hand with economic and political rapprochement with Israel. Cronies of the Mubarak family signed 15-year deals to sell Egyptian natural gas to Israel, and inked QIZ protocols allowing free access to U.S. markets contingent on Israeli input into the exports. On the foreign policy front, the story of Gamal Mubarak is the story of how the Egyptian government ceased to promote a broadly defined Egyptian national interest and worked to promote a narrowly defined ruling class interest organically bound up with Israeli interests. Observe Mubarak’s behavior during subsequent regional developments: Sharon’s 2002 reoccupation of the West Bank; the United States’ 2003 invasion of Iraq; Israel’s 2004 incursion into Rafah; the January 2006 Palestinian elections and subsequent Israeli-American attempts to bring down the Hamas government and foment a Palestinian civil war; the summer 2006 Israeli bombardment of Lebanon; Hamas’ 2007 seizure of power in Gaza to pre-empt a Fatah coup; and Israel’s November 4 attack on Gaza. On each of these occasions, Mubarak took no independent initiative to assert Egypt’s role, remaining resolutely within the acceptable parameters set by the U.S. and Israel. Sure, he recalled the Egyptian ambassador to Tel Aviv in 2000 and emitted feeble gestures of opposition to the Iraq war in 2003, but with the approval of his patrons, who fully understand the necessity of these noises for domestic consumption. 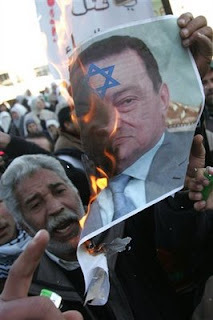 Mubarak also ventriloquised the U.S. and Israel, painting Hamas and Hizballah as irrational and reflexively violent surrogates of Iran, seeking to sow destruction in the region. He stepped aside and bunkered himself in Sharm al-Sheikh as other powers like Saudi Arabia (and now Turkey) stepped in to become credible regional mediators. 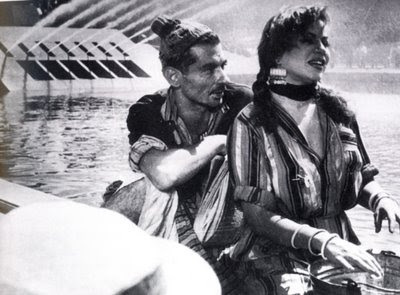 When I read the sad news of Youssef Chahine’s passing, a stream of images from his films passed through my mind’s eye, fragmentary and disjointed images that have stayed with me over the years. The scenes are nearly all in black and white; some are hilarious and others sombre, some are central to the drama and others peripheral, some I remember for their sheer beauty and others because they drove me to tears or deep laughter. Since there’ll be many commemorations and obituaries in the coming days, and repeated overviews of Chahine’s oeuvre, here I want to focus on some small details. These are eclectic, personal favourites, my way of remembering a spirited, restless artist who loved his craft and loved Egypt.